Each March, we wait patiently for the signs that the bees have made it safely through winter; we begin by watching to see if any venture out of the hive, either earnestly searching for fresh forage or simply popping outside to ‘relieve’ themselves, on what we call a cleansing flight, to reduce the debris and waste left inside the hive. The reassuring sight of worker bees returning with pollen on their legs is the sign that all should be well inside that box. Whilst female worker bees make up the vast majority of a colony, this time of year there are no male drones so it’s just the girls and their mum, the colony can not continue reproducing unless the one fertile bee, the queen, is happy, healthy and laying eggs. The arrival of gifts of pollen from her daughters will be used as food for the developing larvae before their metamorphosis into young sister worker bees. Our first inspection of the year, when we open the hive to assess the colony, allows us to check on health, food stores and most importantly how the queen is faring. 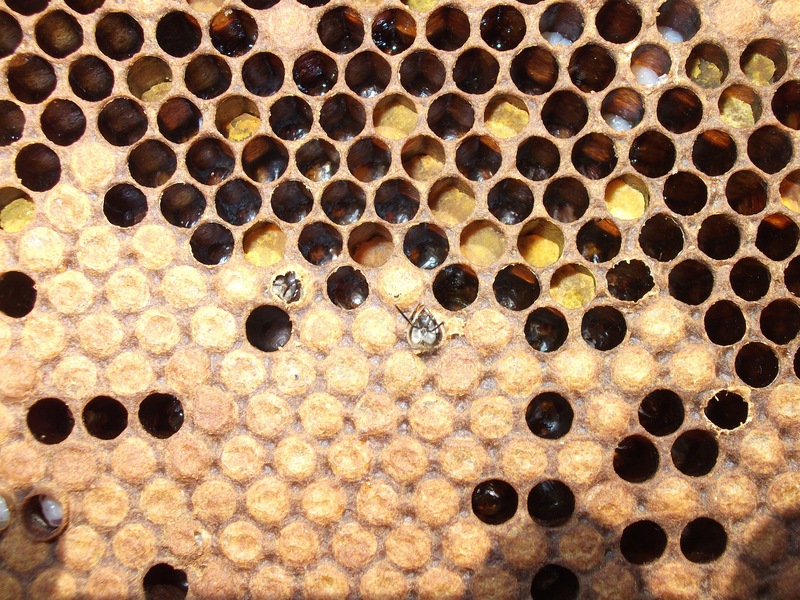 This photo is of one of our brood frames in March and we can see brood in all stages (eggs, larvae, sealed cocoons and new adult bees emerging), we can also see some cells packed as cupboards storing coloured pollen close on hand allowing the nurse bees to transfer it across the frame to feed the new brood as needed. Can you identify the different stages of brood on this frame? The eggs are very small, the shape of a rice grain and the width of cotton thread. The developing larvae is a translucent white, you can just see the purple/brown eyes forming on the larvae in the bottom left of the picture, and in the centre of the picture you can see fully formed adult bees wriggling out of their cells for a short life of hard work. So the queen bee is laying eggs, but how are the hens? 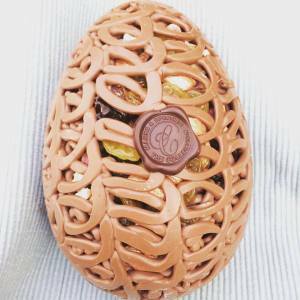 Tell us about the chocolate! 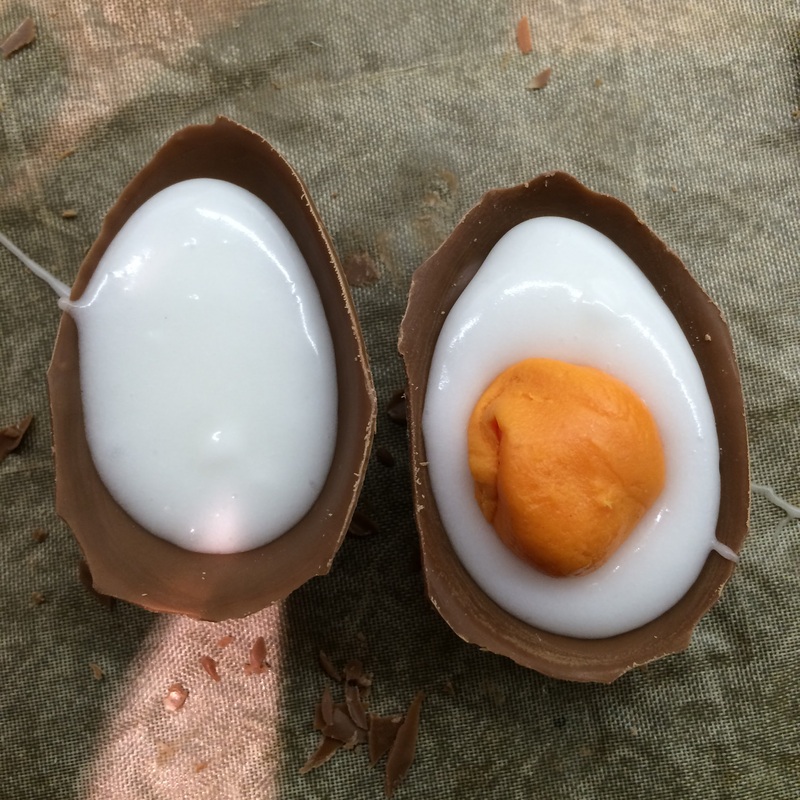 Whilst the weather was wet on Saturday, we had a wild time with Easter at Hen Corner, 17 guests joined us to make chocolate creme eggs, followed by a search for foil wrapped eggs in the garden. 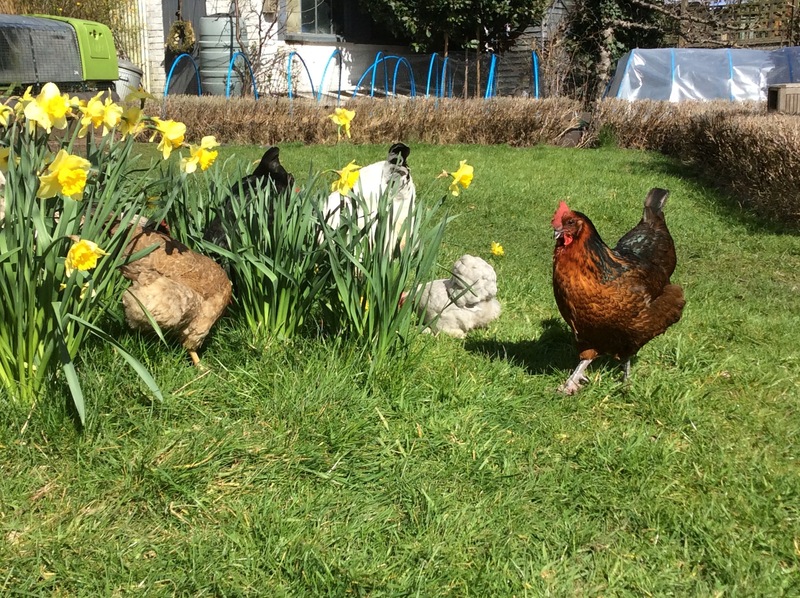 Once we knew that all the hidden chocolate had been gathered in, we released the hens for a spot of free ranging, given every guest the opportunity to hunt for freshly laid eggs and cuddle a chicken whilst thanking them for the beautiful eggs that had been found. As the rain clouds gathered we returned to the conservatory for some very creative egg cup artwork followed up by a pot of tea and Katie’s wonderful hot cross buns. As we look ahead to the coming months, we have a couple of new exciting courses that are open for bookings. With the longer days, we now have regular courses, events, schools and corporate bookings here at Hen Corner. The next month or so sees Bread: Sweet & Savoury, Family Feathers and Fun! and our new season of Full Day Bee Keeping so if you’ve been thinking about trying something new, do get in quick!